The Camel Trail is a hugely popular cycleway which runs from Padstow to Wadebridge and then on to the foot of Bodmin Moor. Following 17 miles of disused railway line the Camel Trail runs through some of the South-West's most breath-taking countryside. The mainly level and traffic free cycleway attracts some 350,000 visitors every year. The well made paths make it popular with cyclists of all abilities as well as walkers and joggers. The Trail is also suitable for wheelchairs and pushchairs. The Camel Trail cycle route was created on an 17 mile stretch of disused railway track that was originally the Atlantic Express Rail Route from London to the West country. The line was an extremely scenic route as it approached Padstow, running along the edge of the River Camel Estuary between Wadebridge and Padstow. 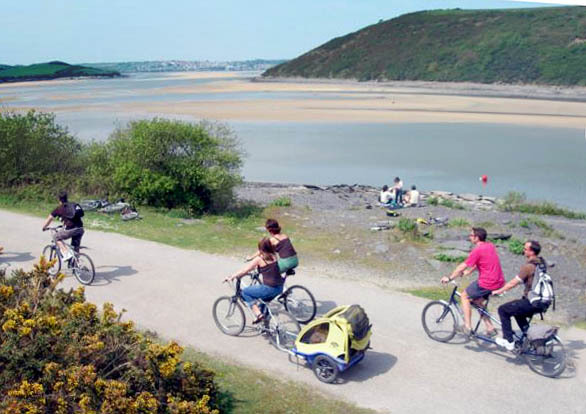 The first, most popular, section of the Camel Trail runs from the picturesque fishing port of Padstow to Wadebridge. This section runs along the banks of the Camel Estuary with its beautiful scenery and abundant wildlife. The second section of the Trail runs from Wadebridge through the woodland countryside of the Camel Valley to Bodmin. Finally, the Trail runs from Bodmin further inland to the quaint moorland village of Blisland at the foot of Bodmin Moor. This slightly more challenging section takes in some of the South-West's most historic countryside and many heritage sites along the way. The Camel Trail is open 365 days a year and is a great way for cyclists of all abilities to explore this beautiful Cornish countryside. For those who are a bit more adventurous there are plenty of routes off the main Trail leading to many hidden villages and quaint Cornish lanes. Bike hire is in plentiful supply in Wadebridge with three shops including Bridge Bike Hire who are one of the main cycle hire providers on The Camel Trail cycle route- based in Eddystone Road, at the start of the Wadebridge to Padstow stretch of the Trail. The Trail is also popular for bird watchers, with a purpose built bird hide half way between Wadebridge and Padstow. 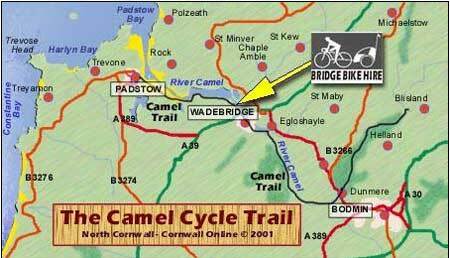 Welcome to Bridge Bike Hire, the original Camel Trail Bike Hire Depot. 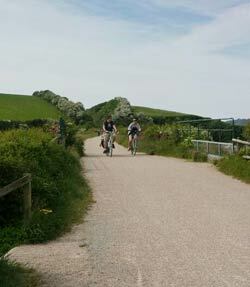 Now recognised as one of the country's top bike hire facilities complementing the popular and very scenic Camel Trail.